Stop mold and mildew. Act now. Have you experienced water damage in your home or place of business? If you've got standing water, or moisture due to water intrusion, you will need emergency dry out services. 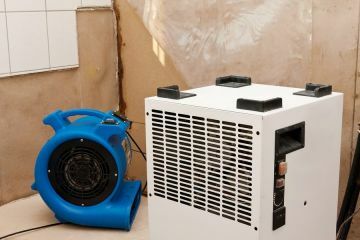 Rapid dry out services are essential in order to prevent the growth of mold spores or bacteria. Complete Clean Water Extraction has been providing prompt, emergency extraction and dry out services to local property owners since 2003. Locally owned and operated, our dry out services are available 24/7 to handle your water loss emergency. Our emergency extraction crews are always on call should you experience water intrusion, whether as the result of a flood, burst pipe or leaking appliance. If you are experiencing water damage to your property, initiation of emergency dry out services is essential, especially within the first 12 hours after the intrusion. The longer water remains behind your walls or under your flooring, the higher the likelihood that you'll also need to deal with mold and mildew growth. Complete Clean Water Extraction understands the urgency needed for drying out properties quickly and thoroughly. Prompt attention by Complete Clean Water Extraction will save you stress and money by getting it right the first time. Why Choose Complete Clean Water Extraction For Dry Out Service? If water has permeated your building's barrier, you need a trusted dry out company to get the job done properly. With Complete Clean Water Extraction, you will receive the prompt, thorough dry out service you require and deserve. Our water extraction specialists are passionate about helping your life return to normal as quickly as possible, but without cutting corners. We'll work to salvage your water damaged items and quickly dry out the interior of your home or office. Complete Clean Water Extraction's emergency dry out process completely removes water and moisture from your flooring and walls quickly and completely.